During the weekend, I decided to man up and finally watch it on Netflix. It was not what I was expecting, at all! I found the show extremely compelling! To the extent that I even attempted and succeeded in canceling all my plans (save for a baby shower that I sadly couldn’t opt out of) to fully immerse myself in a show that was deeply, deeply haunting (heehee, I had to)! I wrote about the show earlier (here) and actively tried to avoid watching it, but after all the good stuff everyone’s been saying about it, I just couldn’t not watch it. It wasn’t scary as I thought it’d be. In fact, it wasn’t scary at all (I was totally fine during the night-time, which is typically when I tend to start freaking out). 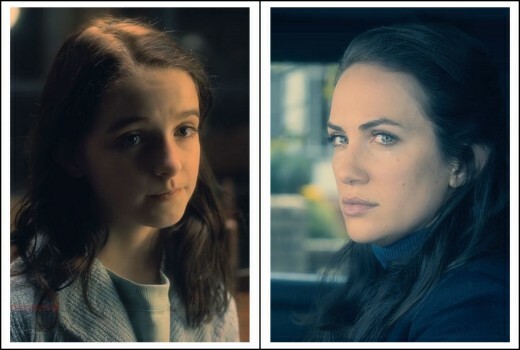 If anything, The Haunting of Hill House was incredibly sad! My heart broke over and over again, for each of them (except the oldest sister ‘cuz… eww), multiple times throughout every other episode! It got to the point where nothing sad was even happening on-screen, but I’d watch a scene of them in the past (their younger selves) and start crying all over again. The last show that’s ever made me cry this much was This Is Us (here). It’s been a minute since I’ve watched such a good show! Carla Gugino (only seen her in San Andreas) plays the role of the matriarch of the Crain Family and quite masterfully too! I wasn’t all that impressed by her in her previous roles, but I sure as heck was now! She made me believe! Also, between her floaty dresses and long flowy locks and cat-like eyes, the woman was practically a Goddess on-screen and ridiculously beautiful! None of the pictures did her any justice, hence… dis. The younger version of the patriarch of the family was played by Henry Thomas (whom I immediately placed from his role as the youngest brother in Legends of The Fall… watched that movie a lot when I was a kid) while the older version was played by Timothy Hutton (who seemed familiar before I realized I was confusing him for one of the two main Doctors from Nip/Tuck and just assumed they’d aged him using makeup and prosthesis… regardless, he had appropriately “sad eyes” that just made me wanna’ comfort him with a hug). Both of them were a great fit for their roles! Michiel Huisman (Daario Naharis from Game of Thrones!) played the role of the eldest son in the Crain Family. The younger version was played by Paxton Singleton (never seen him in anything before but he did a good job). The relationship between Steven and his father, both as a kid and as an adult, was very believable (boys and their fathers…). 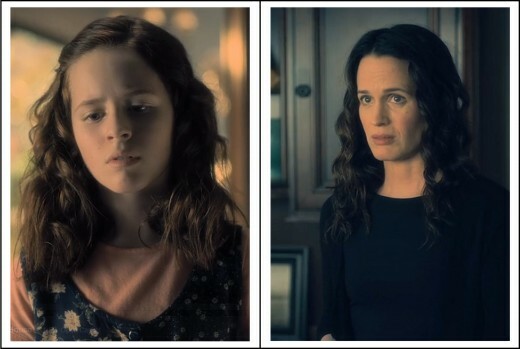 The role of the eldest daughter of the Crain Family was played by Lulu Wilson as the younger version and Elizabeth Reaser (I don’t like her or her acting and hated her arc on Grey’s Anatomy and was confused why she was even cast in the Twilight movies). It’s kinda’ mean but whatever, I’ll say it anyway. I found both the younger and older versions of Shirley pretty annoying. I suppose the character was meant to be annoying, so I’ll begrudgingly concede that it was a job well-done. Kate Siegal (discount version of Angelina Jolie… I’ve actually seen Hush ages ago, but didn’t recognize her here) played the older version, while Mckenna Grace (crazy talented kid, who played the younger version of Caroline on The Vampire Diaries and later on, the younger version of Emma on Once Upon a Time) played the younger version. The kid did a much better job than the adult, honestly. The character of Older Theo kinda’ threw me (I could swallow eeeverything else in the show, but this, I had trouble believing…). Despite my dislike of her, even Elizabeth Reaser did a better job in her role than Kate Seigal. However, Theo‘s character was darkly funny which is how she eventually grew on me. Hands down the coolest out of all the siblings! 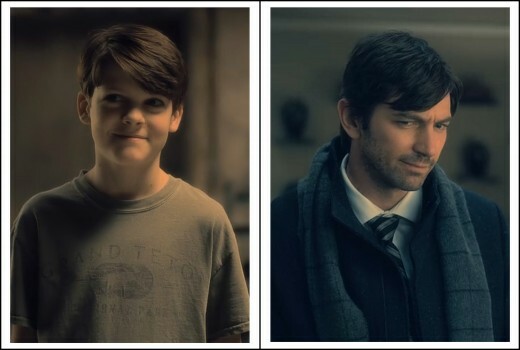 Julian Hilliard played Young Luke, while Oliver Jackson-Cohen (discount Jake Gyllenhaal) played Older Luke. Violet McGraw (cutest lil thing ever!) played Younger Nell, while Victoria Pedretti played Older Nell. I’ve never actually seen any of them in anything else prior to this show. However, all of them did an equally wonderful job! In fact, the twins (both their younger and older versions) were my favorites in the entire show! Both kids did such an excellent job, that they made me feel invested in the the adult versions of them! Unlike some of Netflix’s other shows that came across as… rushed (seemingly slapped together last minute), The Haunting of Hill House stood out to me as very, very, very well executed! From the story-line to the acting to everything, really! Even the cast (aside from Elizabeth Reaser, ugh) was well chosen! Looking at their earlier works on IMDB, it seems most of them had previously been in a horror movie, namely Ouija: Origin of Evil (which I’m definitely never going to watch lol). After the first episode, which did seem a bit… slow, the show picked up its pace and I was completely hooked! 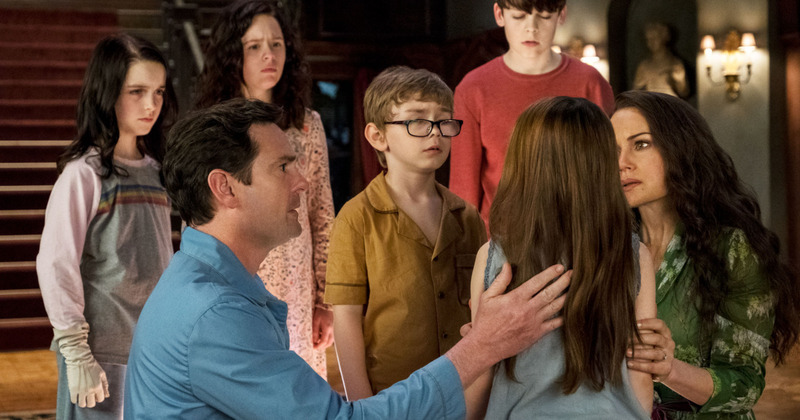 The Haunting of Hill House was extremely suspenseful, but somehow, not in an obvious nor overbearing way. However, my heart was in my throat during the dumbwaiter scene (to name one of many)! That said, even the “made-you-jump” scares were very minimal (as opposed to most shows and movies in the horror genre, that just cram as many as they can in there) and were actually pertinent to the vibe (as opposed to just being a “cheap scare”). What blew me away was how unpredictable the show! Typically, with most shows and movies, you see stuff coming a mile away (bar an unexpected twist or two). Well not this one! Not once did I accurately predict a single thing in the entire show! Even how they wrapped everything all up, towards the end, left me feeling satisfied. Rarely, if ever, do I usually like the last episode of any show, but I actually liked the last episode in this one! 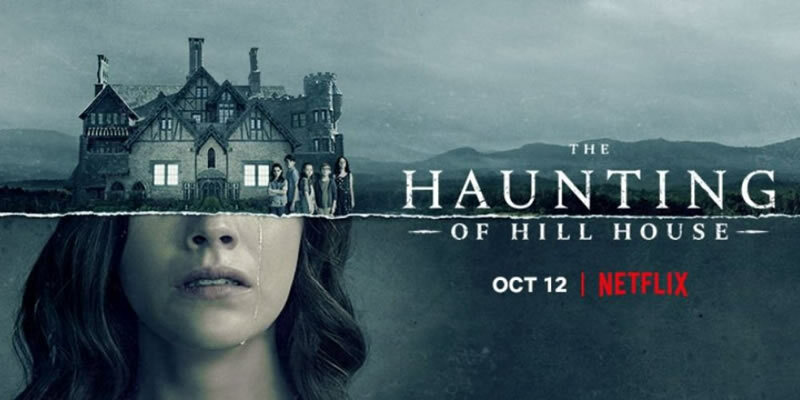 Haunting of Hill House truly was an absolute gem of a show by Netflix and I can’t wait for Season 2!